Plus it will result in hours of fun for your kids over the long winter months or rainy days. 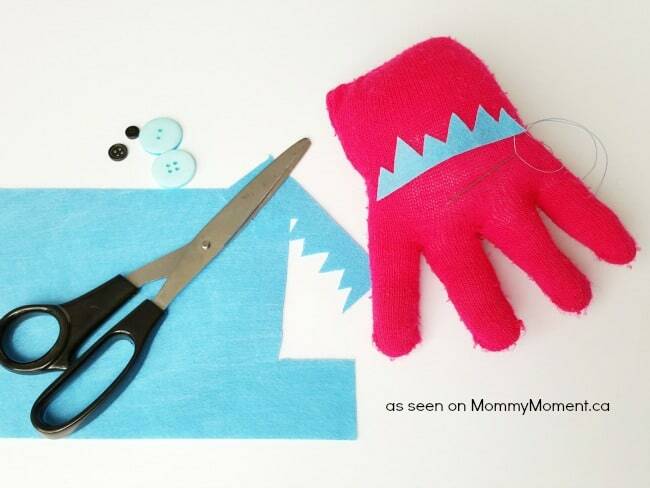 Everyone has that lonely mitten laying around, so why not use it to make a fun Monster Mittens Craft that the kids will LOVE! 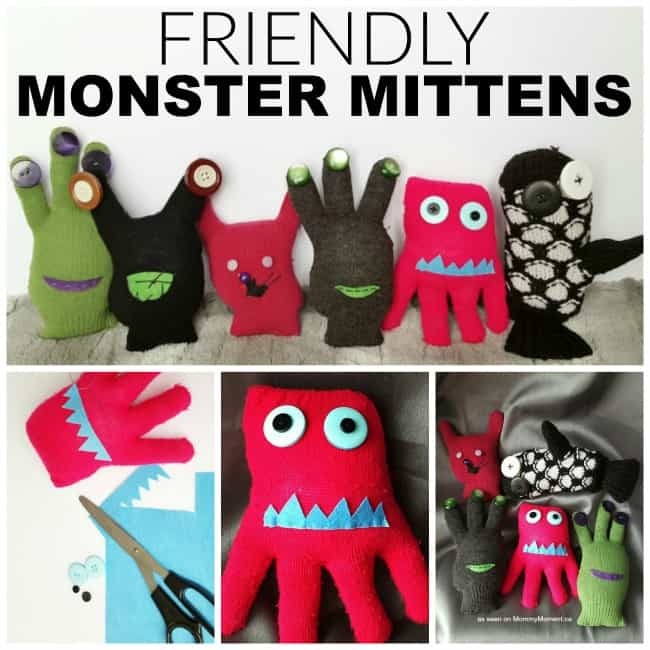 These Mitten Monsters are absolutely adorable! The possibilities go as far as your child’s imagination. When you see the fun they’re having, you’ll want to make one too! 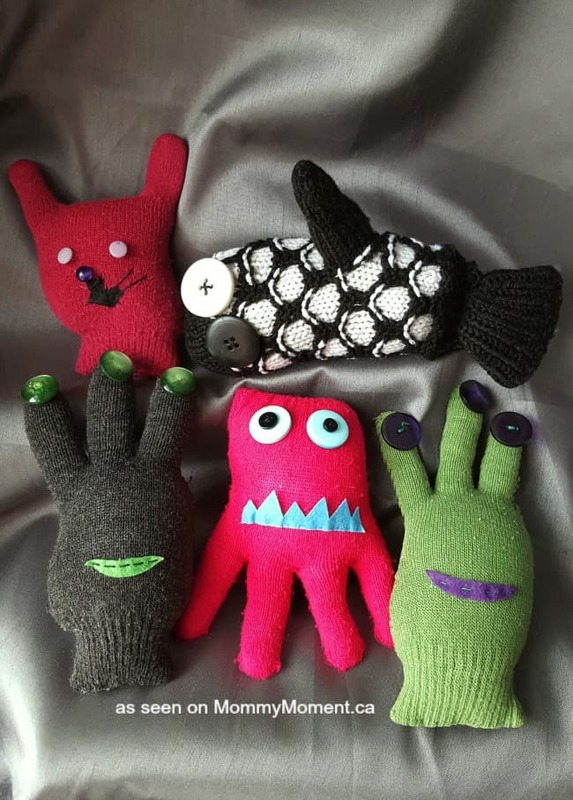 Dive into a fun world of cozy & colorful mittens, felt and buttons, and let your imagination go wild! Once you have your glove, sew up the fingers you don’t want to use by first turning the glove inside out. That way the stitches won’t show. 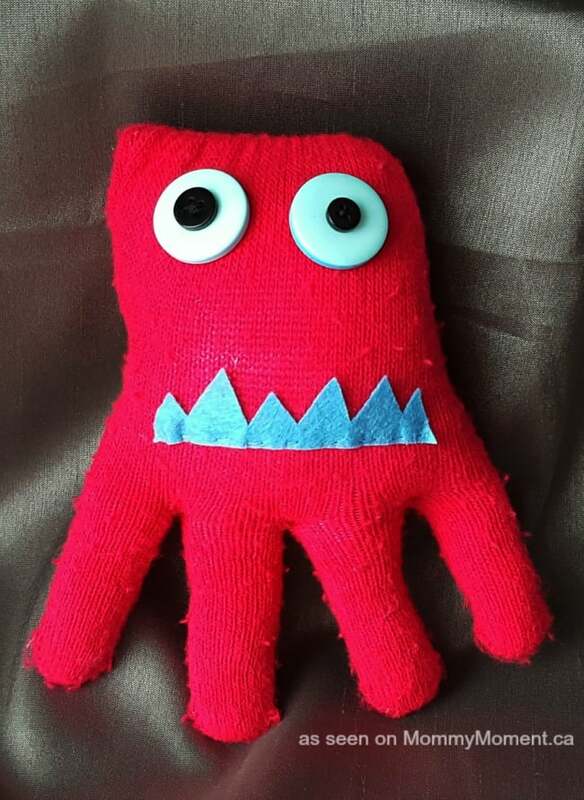 Stuff your monster nice and full, and sew the glove up so there are no holes. Now create a face for your little monster! 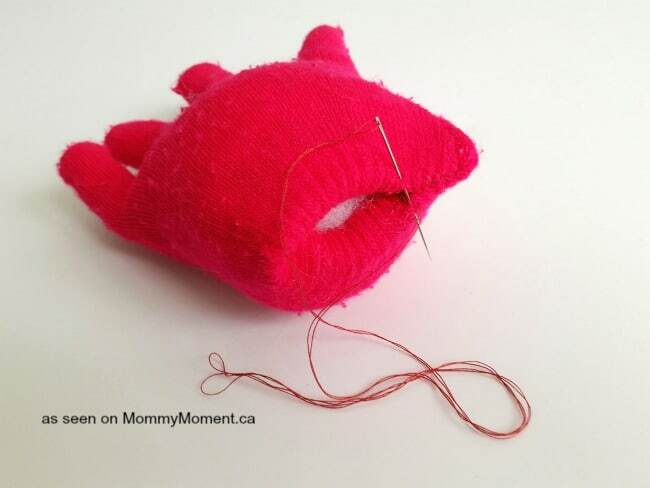 Cut out teeth or a smile, a nose or eyes using the felt, or use buttons for the face. 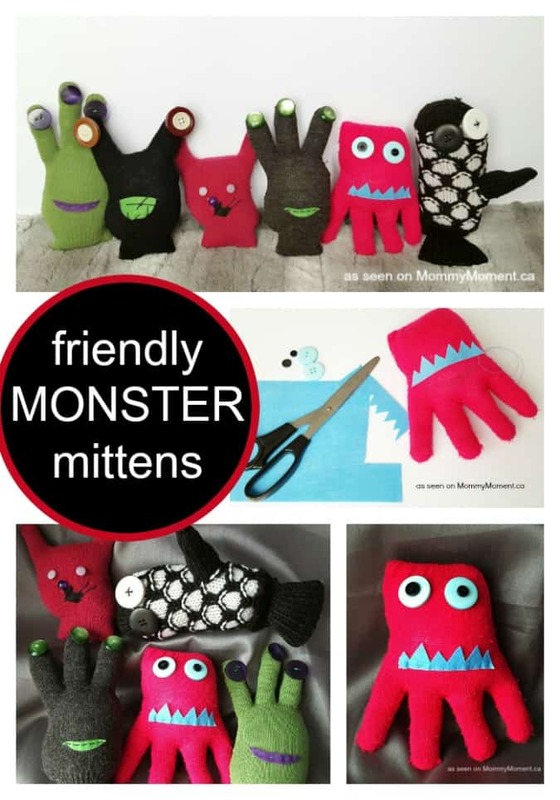 Sew them on and now you have an adorable Friendly Mitten Monster! Omgosh these are adorable and perfect because I find mittens to be like socks………one always goes missing! Thanks! 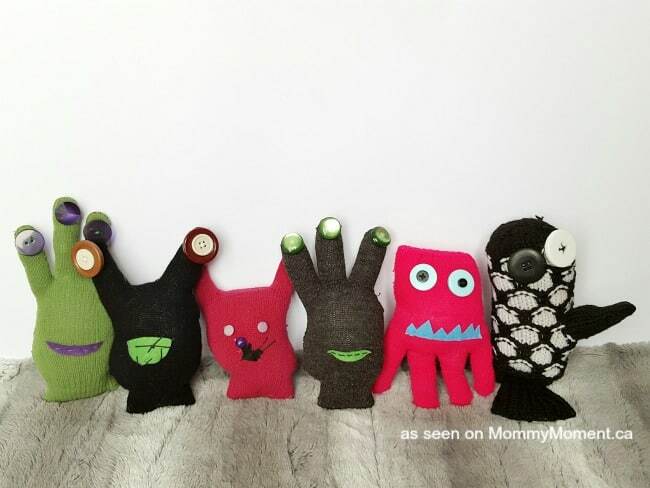 These are cute and a fun way to do something with those mitts that have lost their partner or old ones laying around!! These are fantastically fun looking. I think I’ll try it with the kids today! I’m pretty sure we have a handful of mismatched gloves in our glove drawer. i’m just not sure how many extra buttons we have :/ Maybe I’ll have to wait to do it until we go to my mom’s. I love these Monsters! Who ever thought of this, it is a great idea. What a great way to use odd mittens! They’re so cute! And let’s face it there are always mitts and gloves around that have lost their pair. I like this,very creative ! Ha! This is brilliant. A neat way to use up those odd gloves. These are so cute! 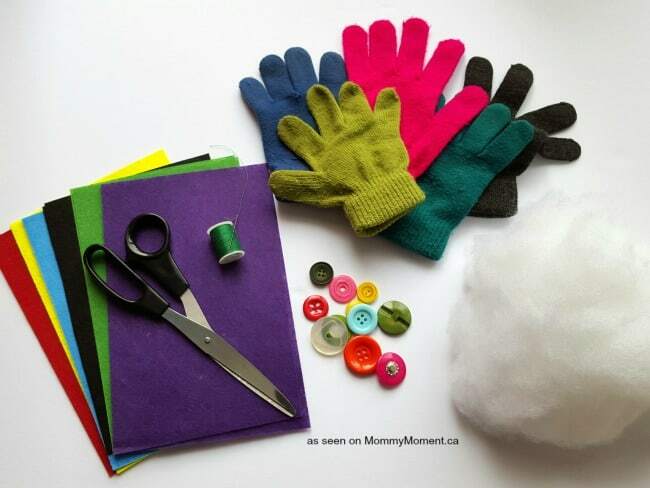 What a great way to use up those single mittens that seem to pile up over the winter! What an awesome way to recycle old mittens! Super cute!!! This is such a great idea for missing gloves. WHat a GREAT way to use the old gloves!! LOVE It! These are cute, and look easy to make, too. I love finding new crafts that I can share with my son. These are so fun! I love the idea. Oh my these are so cute and so cheap to make. The kids would so love doing this.